As we’ve learned more about proper coffee, we started to do our own research about how to find the best manual coffee grinder. Now that we have an actual home and are no longer nomadic, we’ve started to invest in the proper gear for our kitchen. We want to share what we’ve learned, in our search for the best food and drink experiences with you. 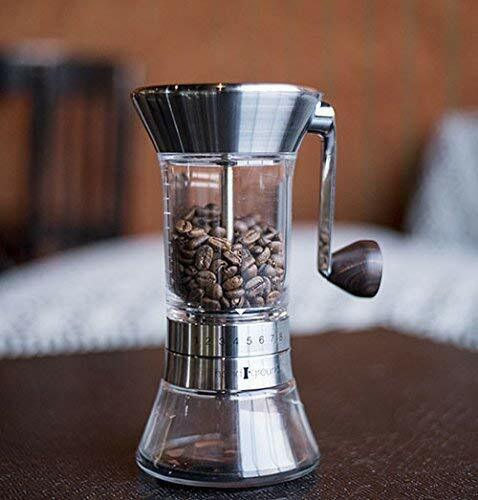 In this post, we share the best manual coffee grinder reviews as well as what you consider before buying a hand coffee grinder. 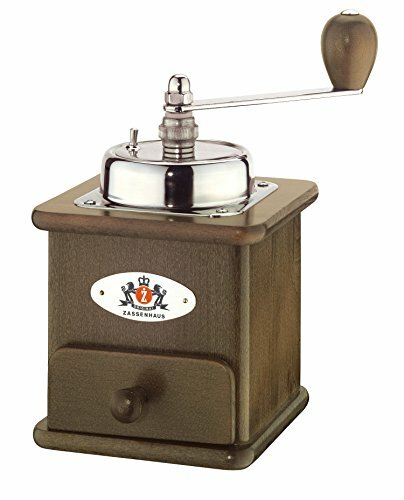 What Is A Manual Coffee Been Grinder? Why Is A Handheld Coffee Grinder Better Than Electric? 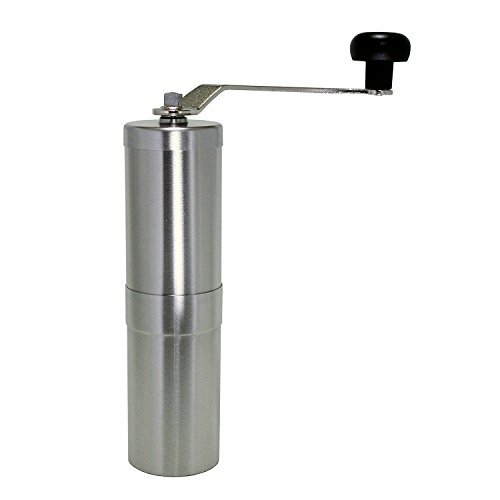 What To Consider When Purchasing A Coffee Bean Hand Grinder? What Is The Best Hand Coffee Grinder For 2019? In this post, we share our tips on what to consider when purchasing a hand coffee grinder as well as recommendations for the best ones to purchase. If you are short on time, please feel free to use the handy table below to see our recommendations. I include full reviews of each of these products further down. A coffee grinder is the perfect piece of equipment for people who take coffee seriously. As our palate has changed over the years, we’ve learned more about what makes a good cup and what we enjoy. When we lived in Bali, we used a stove top Italian coffee maker, which we love. At the time, we knew our time in Bali would be short-lived so we didn’t invest in a lot of kitchen appliances. At the time, we visited our favorite Bali coffee shop, Anomali, several times a week for a proper coffee. And, we purchased our coffee beans, asking them to grind the beans for us. At the time, that was a big improvement for us. We did the same when we lived in Bangkok. Once we moved to Spain, though, we started to stock up on kitchen appliances as we said goodbye to the nomadic life. In the last few years, we’ve found ourselves with coffee grinders and multiple ways to brew the perfect cup. When we bought our first coffee grinder, I simply felt we had upped our game. There is something about the ritual of grinding your own beans, the resulting aromas, and of course the joy of the first sip. At its most basic, an at home coffee grinder allows you to buy your own whole beans and to grind them as needed. By freshly grinding beans just before brewing the aroma and flavor of the coffee stays in the beans until the very last minute. This leads to a more flavorful cup of coffee. There are different ways to grind coffee at home. There are electric grinders, which plug into the wall. There are battery operated grinders. Then, there are manual or handheld coffee grinders, which require the coffee drink to expend a little human energy to grind the beans. There are benefits to each of these different types of grinders. There are a few different options when it comes to coffee grinders. The most common are handheld or manual coffee grinders as opposed to electric coffee grinders. Here are some things to consider before purchasing a manual coffee mill or grinder. 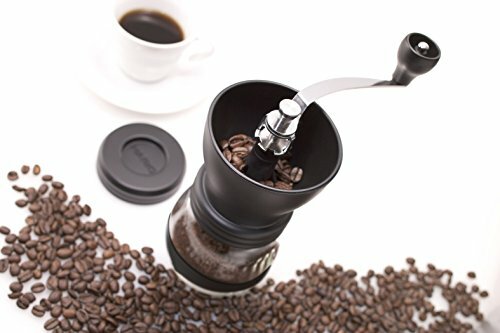 Generally, the best handheld coffee grinder is often cheaper than an electric or at least can offer a good value considering the price and the quality of coffee that results. There are other things to consider, though, in addition to budget. How much work does it take to grind by hand? Yes, it takes more than pressing a button. The general rule is that it takes about 30 seconds for each cup of coffee brewed. If you generally make coffee for only one or two cups at a time, this shouldn’t be a problem. If you tend to brew coffee for more people, or (like us) you want a top-up or a second cup, it will take longer. An electric coffee grinder provides a more consistent grind meaning that each time you grind beans they come out relatively the same. The same can’t necessarily be said about a hand held coffee grinder, which results in a coarse grind coffee. Another consideration is that the longer you turn the crank, the more fine the grind will be. This is a matter of preference. For espresso ground coffee, most people prefer a finer grind. In this case, an electric grinder is probably preferred. A hand crank coffee grinder can last for a very long time. Buying a budget electric grinder may save some money, but they do break on occasion. More expensive electric grinders might need to be repaired. A more sturdy and durable hand grinder can last for years. This is particularly true with quality hand grinders made from strong plastic, steel, or even ceramic. One of the biggest considerations when determining whether to purchase a handheld coffee grinder is that it doesn’t produce heat while it’s doing its job. An electric version produces friction and heat. Some people claim the amount of heat in minimal, but true coffee aficionados prefer that the heat is only applied to the beans when brewing. Once you’ve made the decision to go manual, there are a few things to look for when making your choice. We offer some of the best rate coffee grinder reviews below, but in the end, it depends on what is the best grinder for you and your needs. A lot of this is based on budget and portability. There are some coffee lovers out there who invest heavily in something more akin to an industrial coffee grinder. In the end, though, it is not necessary to spend hundreds and hundreds of dollars on a home grinder. Perhaps there are coffee drinks out there who have such a refined palate that this makes a difference. We are not those type of coffee drinkers and I think few people are. For people like us, who love drinking a great cup of coffee and know the difference between a good cup and a bad cup, something lower on the price scale is probably sufficient. Burrs are the rotating, coarse surfaces that are used to make the grinding process happen. Generally, grinders include either ceramic or steel burrs. Steel burrs tend to be more pricey but ceramic burrs can produce aromatic beans at a lower price point. When it comes to choosing a coffee grinder and deciding between electric or manual, energy comes into place. Sure, by choosing a manual grinder you are saving electric power. But, that does mean a hand coffee grinder requires human energy, so to speak, to grind even one bean. There’s more to do than just pressing a button. But, there is also a reward. When considering this, think about the handle length. The longer the handle length the less human energy and elbow grease are required. Some of the best affordable coffee grinder options do not allow for a grind adjustment. This can be fine if you are mostly considered about price and budget. 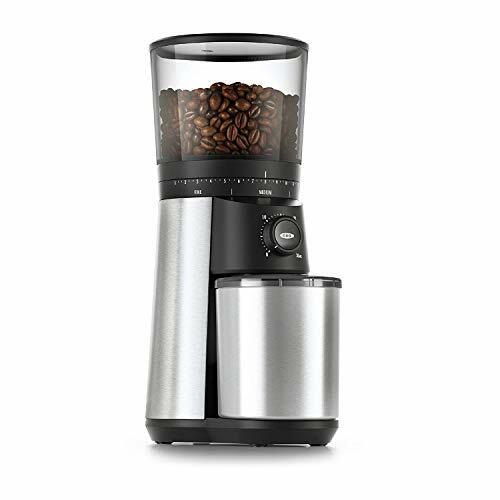 A more advanced grinder will include a grind adjustment, allowing you to control how fine or coarse the grind will be. This will allow you to grind beans for a French press, filter coffee, or stove top coffee maker. We know a lot of people who travel with a variety of coffee making accessories. If this is you or is a goal, then look for a portable coffee grinder. Look for a grinder that is compact and lightweight. You also might want a smaller grinder if you have smaller hands. That just makes sense. We shared our recommended grinders in the table above, but here we share our hand coffee grinder reviews. I walk through each of the coffee grinders with recommendations on what to consider when purchasing each of them. In the end, purchasing the best handheld coffee grinder for you and your home depends on your specific needs. Hopefully, I have included enough pros and cons for each grinder to help you make the right decision. Although there are less expensive grinders on the market, this is the best budget coffee grinder when it comes to the quality of the product and the grinds produced. 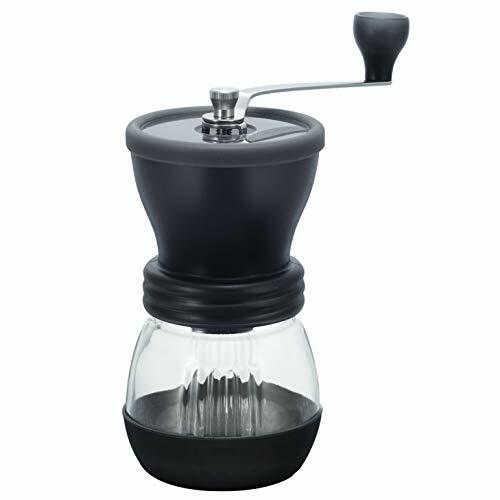 The Hario Coffee Grinder is one of the most popular on the market as well. Hario is a Japanese company and the word Hario means “King of Glass.” The ceramic coffee grinder includes, obviously ceramic and not steel burrs, but gets great reviews. The handle detaches making it easy to store and travel with. The Hario grinder also has a rubber base to reduced slipping during the grinding process. One thing to note, due to how popular the Hario grinding machines are there are companies selling counterfeit products. Use this link, or be sure that under the product title on Amazon it reads “sold by Hario”. Another concern here is that it is a little tough to grind enough beans for several cups of coffee at a time. It’s possible but takes a bit of elbow grease. The Handground Precision Coffee Grinder includes 15 different settings, which allow grinds both fine and coarse. You just twist the numbered ring setting, which ranges from 1 to be an espresso grinder and 8 for a French Press grind. It includes a conical ceramic burr, which the company states is manufactured to last longer than stainless steel. 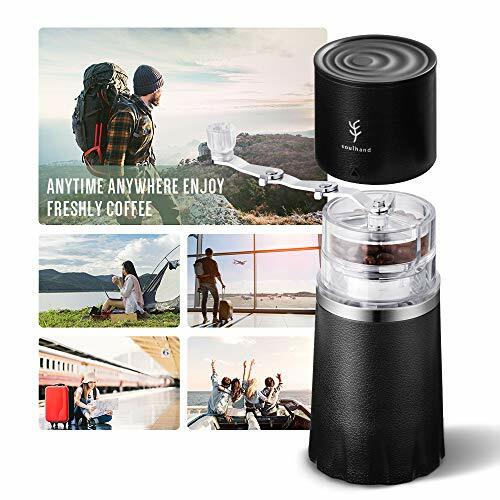 This handheld burr grinder is also relatively small and the hand crank is removable making it possible to travel with the grinder. Because it is relatively easy to disassemble, it is easy to clean the grinder as well. It holds up to 100 grams of coffee, which are held under a locked lid to keep the beans inside while grinding. The thing I like most about this coffee grinder machine is that it looks stylish and slick as well as being functional. This is another Japanese manufactured grinder from one of our favorite cities in Asia, Osaka. It has a stainless steel body, but with ceramic conical burrs. They assert that the inner spring of the grinder keeps the grind consistent. It’s also easy to clean. It’s relatively small and all parts are produced rust-free making them perfect for traveling with. One of the negatives for this grinder is that the instructions are in Japanese meaning it’s a little complicated to figure out the settings. But, once you do, it produces a consistent grind. This just might be the best budget burr grinder available, with a removable hand crank and adjustable settings. This is a ceramic burr grinder meaning that it is a little less durable than the stainless steel burr grinders that are also included in this review. But, they get rave reviews for customer service when it comes to problems that result from product use. The built-in adjustable grinder offers 18 settings, meaning this coffee grinder produces grounds that work with a French Press, pour over, Chemex, Turkish grind, and everything in between. The grinder includes a grinding chart to explain how much coffee to grind for how long depending on how you are brewing your coffee. One of the cons for this grinder is that it takes a lot of work to reach fine grinds, sometimes taking several minutes. Even with these features, it’s small enough to work as a portable hand grinder and can be disassembled for travel.JavaPresse also claims to be a quiet coffee grinder, but that is in comparison to an electric grinder, not necessarily being more quiet than other manual grinders. In the end, as much as we are no longer nomadic, this is a food and travel blog, and I recognize that people want to be able to make proper coffee on the road. This is the best value grinder for people who travel for food but need their coffee. The Soulhand portable burr grinder is like the MacGyver of coffee products. 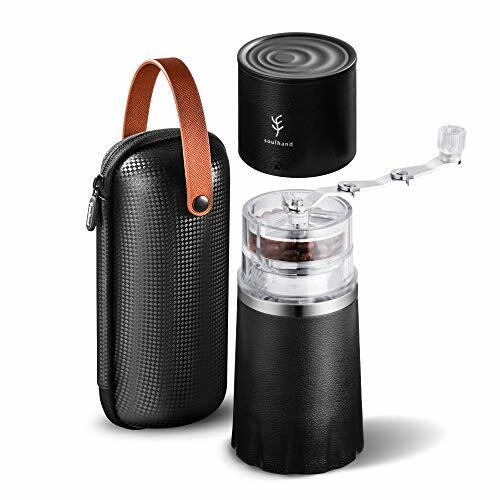 It includes an insulated thermos, a drip coffee maker, a place to store coffee beans, and even a mug. Even with all of this, the grinder is adjustable, although not to the level of some of the stay-at-home coffee grinders above. There are two methods to grind beans in the Soulhand. 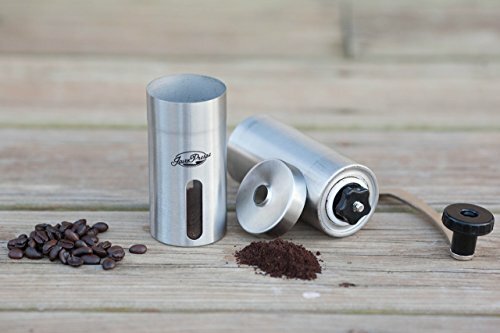 The travel coffee grinder is a manual grinder with a hand crank. There is also a hand twist with a hexagonal insert inside the screw cap. I find this to be one of the most unique grinders available. A wooden manual coffee grinder is the most classic way to grind beans and also makes a great gift for the coffee lover in your life. The Zassenhause comes in a few different types of wood to match most kitchen decor. Unlike most of the grinders included above, this once includes classic, high-grade carbon steel rather than ceramic burrs. Sure, this is an old fashioned coffee grinder, but sometimes classics work best. The company started to produce small steel goods in the late 1860s in what is now the Czech Republic. Of course, it’s not portable and takes up a good amount of counter space, but it is classic European engineering. You just slide the lid, pour the beans in the top, grind with the hand crank, and then open the drawer. Also unlike most of the grinders reviewed above, the Zassenhause comes with a 25-year quality guarantee.